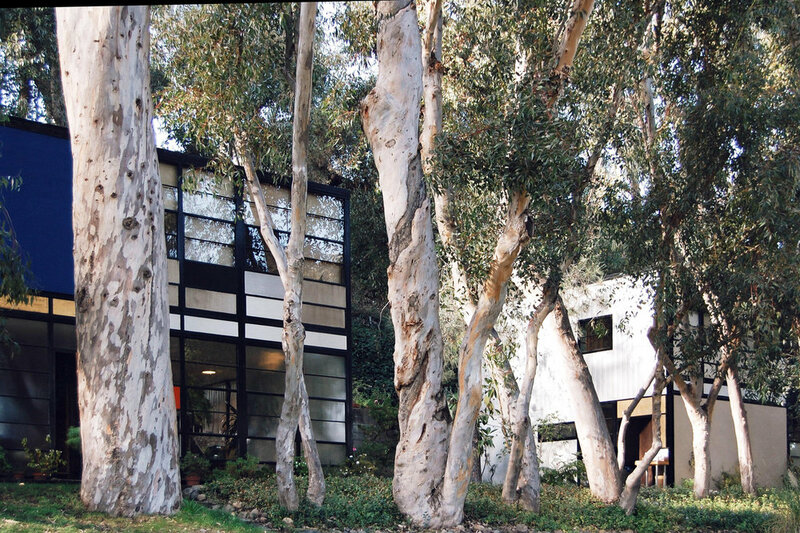 the studio and apartment building (1945-49) of ray and charles eames is located in the midst of a little eucalyptus forest on a hillside in pacific palisades, in the north of los angeles. the modular plan is based on 17 axes of 2,3 meter width each. five axes for the studio at the entrance of the area, eight axes for the living space and four axes for an loosely framed inner courtyard. the supporting structure is a visible black steel framework. 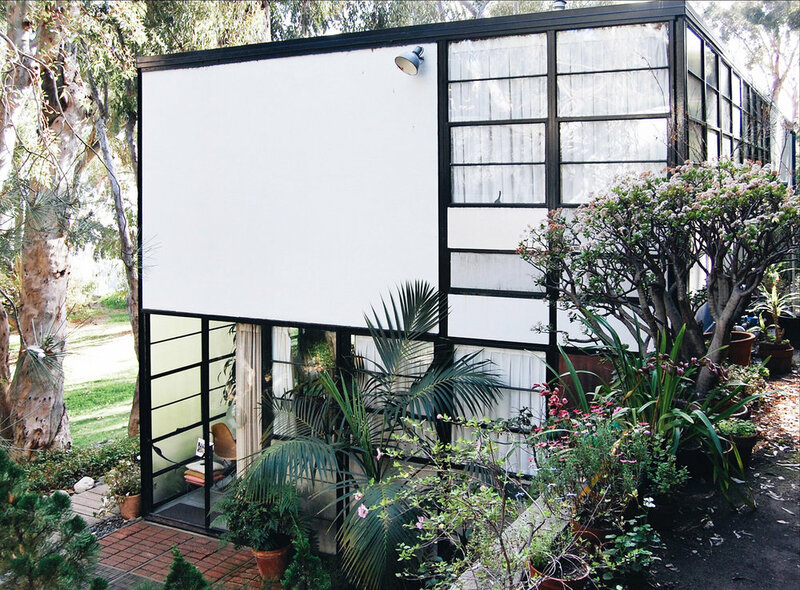 the two story (5,1 meter) high facades are designed with either glass or non-transparent industrial glass windows or sliding doors combined with colorful wall panels. the latter give the buildings a surprisingly diversified appearance and looks inevitably mondrian inspired. 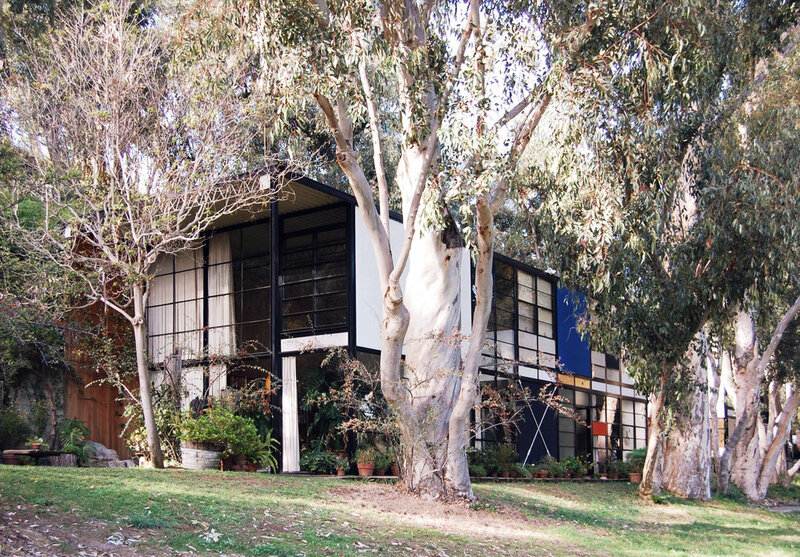 the eames house is part of the legendary "case study houses" project by john entenza and his famous magazine arts & architecture. 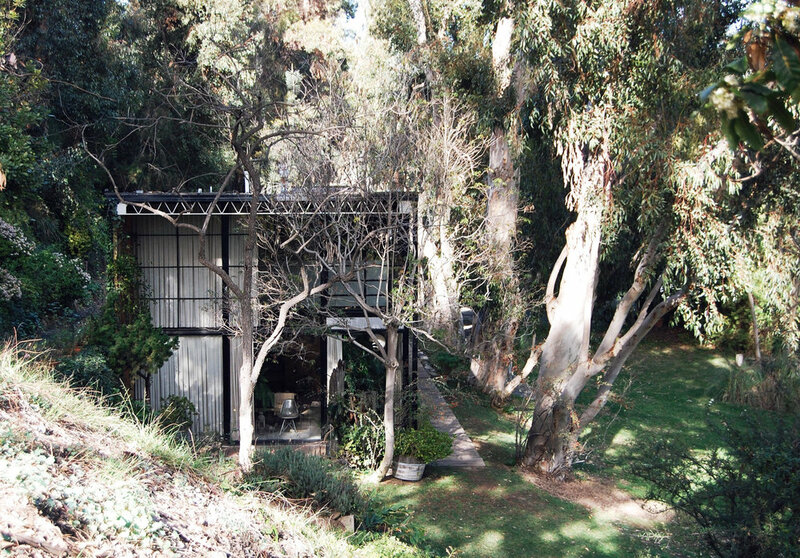 entenza acquired two hectare piece of land (back then) in the remote area of pacific palisades. the lush garden area with the old eucalyptus trees surrounding the property kept its magic up to this day. it’s open to the public and an awesome place for a picnic with your beloved or friends to enjoy the day and the great view of the ocean.